By Miles Adair on Friday, May 29th, 2015 at 4:00 p.m. Outgoing Maryland Gov. Martin O'Malley speaks with reporters during a roundtable on Jan. 16, 2015. Former Maryland Gov. Martin O’Malley is expected to enter the 2016 Democratic presidential field at an event on May 30. O’Malley was mayor of Baltimore between 1999 and 2007 and then governor of Maryland from 2007 to 2015. We have put O’Malley on the Truth-O-Meter eight times in the past five years. All told, he has received six Half Trues, one Mostly False, and one False. In March 2015, O’Malley said that the United States "has had 12 years in a row of wages declining." We found that wages in 2014 were in fact lower than they were 12 years earlier. However, wages in years between that rose and fell periodically, and not in the kind of uniformly negative direction that O’Malley described. We rated the claim Half True. In the lead-up to the 2012 presidential election, O'Malley criticized Mitt Romney's job creation bona fides. O'Malley claimed that while Romney was governor of Massachusetts, public sector job growth was happening at "six times the rate that it was happening in the private sector." That statistic is true only when counting state employees. But O'Malley said "public sector," which would include local government workers such as teachers and cops. That said, the growth rate was indeed greater in government jobs during Romney's tenure. We rated the claim Half True. Also in 2012, O’Malley claimed that Maryland is "creating jobs at 2½ times the rate that Virginia is." PolitiFact Virginia looked found that Maryland actually had a 0.98 percent increase between December 2010 and December 2011, while Virginia had a 0.97 percent increase during that same time period. Maryland’s edge over Virginia -- just 0.01 percent -- didn’t come close to the figure O’Malley’s cited. PolitiFact Virginia said False. 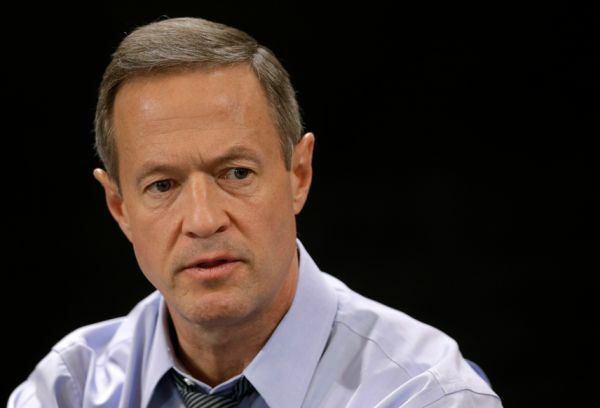 More recently, O’Malley has taken a strong stance against the proposed the Trans-Pacific Partnership trade deal. In April 2015, O’Malley claimed that "we’re not allowed to read it (the Trans-Pacific Partnership) before representatives vote on it." O’Malley conflated two different votes -- one to authorize the president to strike a deal, and a second, subsequent vote to make United States law conform to the final trade agreement. While he had a point that lawmakers won’t know the text of the agreement during the initial vote, they -- and the public -- will know what’s in it before the second vote to enact the agreement. We rated his statement Mostly False. Finally, O’Malley in June 2011 said that Texas Gov. Rick Perry, a Republican, was "the governor who relied most on stimulus funds to close his state’s budget deficit in 2010." Based on available information, PolitiFact Texas said that O’Malley’s claim is partially accurate, but the survey backing up his claim did not include results from 30 percent of the states. PolitiFact Texas found that claim Half True.